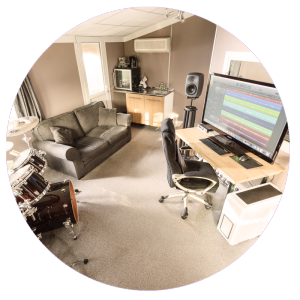 New Music Nights performers who want to record their music, whether for demos, to release for sale, or just for personal enjoyment, can enjoy preferential rates at Dragonfly Recording Studios in Reigate. A family run studio with a high-quality pedigree, Dragonfly has over 10 years experience of teaching and mentoring musicians in local schools and colleges, as well as performing in bands. It is a friendly, supportive, and highly professional environment for musicians to relax, optimise their creativity and realise their dreams. Dragonfly will offer preferential rates at the studio for all customers who come to them via NMN and they've put together the following bespoke package to get you off to a flying start. Got a song that you are wanting to produce professionally, ready for release to promote your music online? Come into Dragonfly Studios for one day and let us help you achieve your aspirations for just £175. Dragonfly Studios was founded by Tom Hughes in 2014 with the mission to be a catalyst for music promotion, careers and enjoyment for people of all ages and abilities in Reigate and beyond. Like NMN, they are passionate about helping people of all abilities and all stages of their development realise their potential within the music industry and has built its business with this in mind. To take advantage of the special NMN rates, contact us via our contact page and we will put you in touch with Tom.